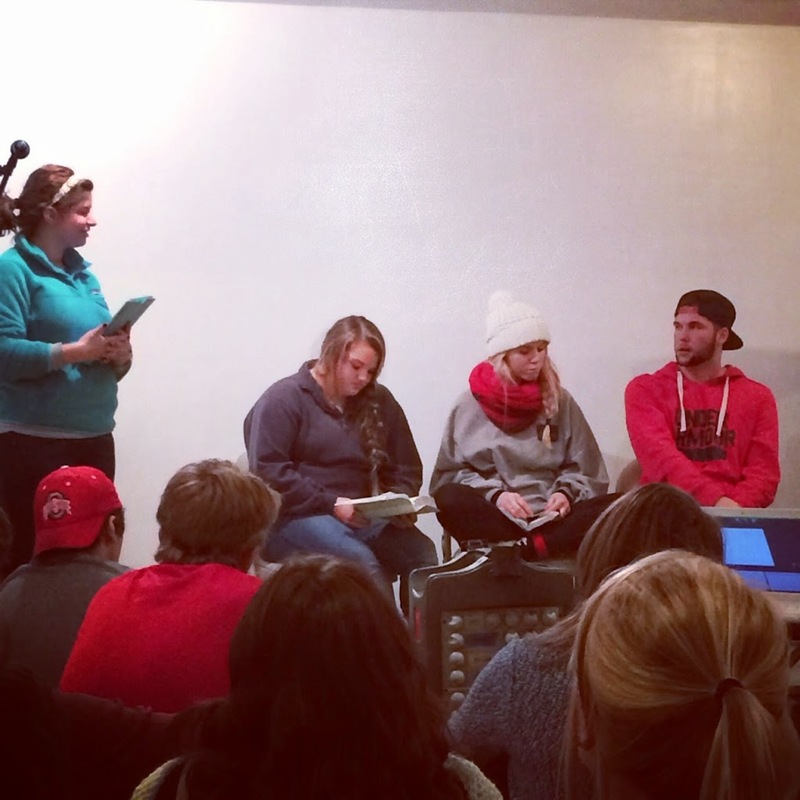 Last week, three of our senior leaders were a part of a Student Panel that took the place of the club talk and it was one of the coolest nights of leading our team has ever had. In the past, we've asked one of our seniors to give a club talk towards the end of the semester and it is always encouraging. This year, however, we have a larger group of seniors who are following Jesus, loving their friends and using Young Life as the tool to bring their friends to the feet of Jesus. Because of this, my wife Stephanie gave a quick 3 minute introduction using Acts 4:13 as the base, "Now when they saw the boldness of Peter and John, and perceived that they were uneducated common men, they were astonished. And they recognized that they had been with Jesus." She explained she has seen Jesus in our three senior friends and we all hoped everyone at club is able to see that too. The seniors then came up and sat in front of 40 of their friends and shared their stories. You've been coming to Young Life for a long time - why do you keep coming back? You each grew up hearing about Jesus in some way or another but in the past few years, you began an active relationship with Him. What made it "click" and what changed in your life after that point? What's the most important piece of Scripture to you since you started following Jesus? Why? What's the biggest way Jesus has changed you? What's the one thing you want to tell your friends here about Jesus before you graduate in May? Two nights before club, Stephanie was struck by the way Hanna, Bridgette and Cole encouraged each other in the truth of the Gospel, pointing out ways God has changed each other and coaching one another in better ways to communicate their story. One huge benefit was for the seniors themselves: Cole told us after that he felt more at peace with himself and what the Lord has for him in the rest of his high school days. While answering question #5, Bridgette began crying and later explained to us she realized she was explaining her love for Jesus to some of her friends who don't love Jesus yet and was pleading with them, "In high school and life, this is the best there is," and now has a new perspective of Jesus' heart for those not yet in a relationship with him. And Hanna had an increased awareness of the gravity of her influence on the underclassmen after seeing how engaged and interested in their stories the younger students were during the panel. After club that night multiple students were tweeting about the discussion and spurred two students to ask leaders to talk more in depth about Christianity and what it's like to follow Jesus. These conversations led perfectly into Fall Weekend, where 12 students began a relationship with Christ! We are thankful for the way the Spirit moved that night and highly encourage this to any school with a strong group of seniors!